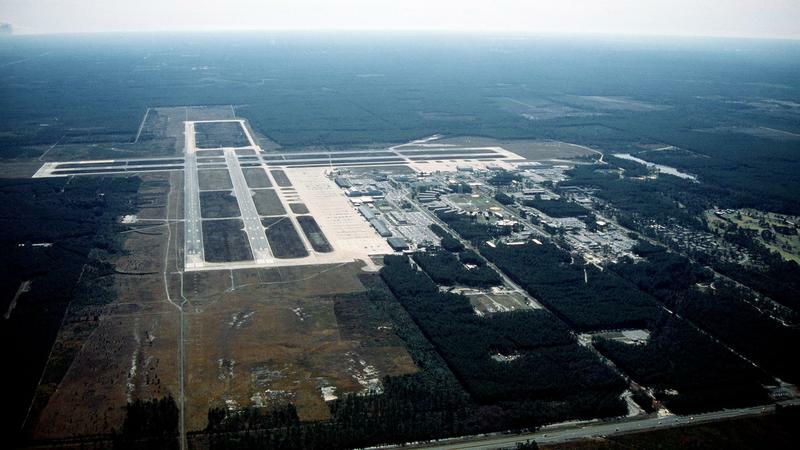 This archived aerial photo shows what was Naval Air Station Cecil Field, a part of which is being transformed into the Cecil Spaceport. On the heels of the successful SpaceX launch last week, Jacksonville’s Cecil Spaceport is planning its own commercial flights. A launch with a satellite payload from Cecil is expected later this year or in early 2019. It was an amazing sight to behold as SpaceX founder Elon Musk’s Rocket Heavy SpaceX test flight perfectly launched off a pad at Cape Canaveral. Once in space, Musk’s cherry red Tesla Roaster - built by another of Musk's company's - was deployed. Now, the next step in commercial space flight is set for Jacksonville’s Westside at Cecil Spaceport as officials there are planning a commercial launch for late 2018 or early 2019. Spaceport director Todd Lindner said on First Coast Connect Tuesday that when the launch takes place, the flight’s payload will likely be a government satellite. Lindner said the Cecil Spaceport is working with the private firm Generation Orbit on the launch. Back in 2010 the Federal Aviation Administration approved Jacksonville’s Cecil Field as a spaceport. It’s the only licensed horizontal launch spaceport on the East Coast. In horizontal flights, small rockets are attached to jets and then launched from over the ocean. Wednesday on First Coast Connect we heard the latest news of what we can expect in the future at the Cecil Spaceport with director Todd Lindner (01:24). In our latest Going Green segment we spoke with Kaitlyn Dietz, the coastal training coordinator of the GTM Research Reserve (24:34). We heard about the upcoming documentary Jacksonville WHO which tells the story of Jacksonville University’s improbable run to the men’s basketball NCAA championship game in 1970 and its impact on the city with producer Frank Pace and Basketball Hall of Famer Artis Gilmore (32:43). We learned about this weekend’s MLK Oratorical Contest with Upsilon Lambda Chapter of Alpha Phi Alpha Fraternity Chapter President James Kelly (46:00). An airport on the Southwest side of Jacksonville is readying itself for a different kind of flight. Cecil Spaceport has completed some of its first upgrades to get ready for trips to outer space. 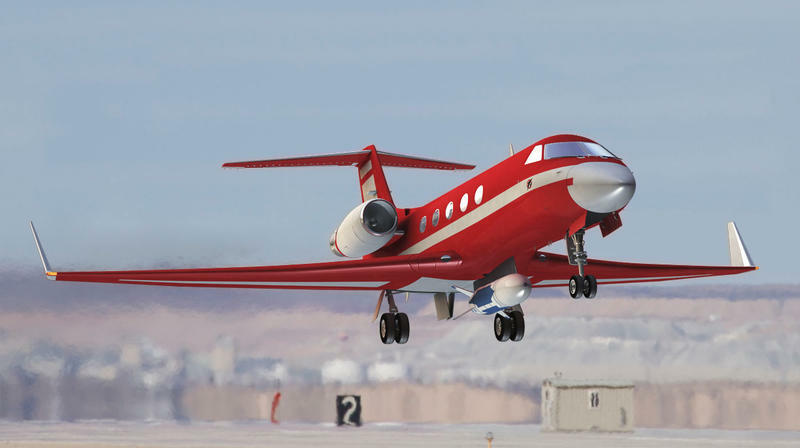 Aviation officials say Cecil Spaceport’s target launch date is some time next year. That’s when a horizontal-launching spacecraft fitted with a rocket on its belly is first expected to take off to put small satellites in earth’s orbit.